Orbital Sound is expanding its installation division with the appointment of Tom Oakes (pictured) to the post of technical sales and support engineer. The move reflects the continuing demand for Orbital’s expert installation services, which include design and consultancy, as well as ongoing technical support and education. Recent high profile projects include large-scale d&b audiotechnik installations in houses of worship and theatres, as well as communications systems design and installation at both the Royal Albert Hall and the Welsh National Opera, involving Clear-Com solutions. Orbital’s sales director Tom Byrne commented: "Installations have always formed a key part of our workload, with our track record involving just about every size and type of project. We love challenges - from listed buildings to mega systems for new clubs, and tailored solutions for multi-purpose venues, shopping centres, schools and colleges. We have even tackled nuclear power stations and top-end cruise ships! With a track record of over 20 years, Orbital’s name is associated with technical excellence – from design consultancy, application support, product sourcing, installation, training and ongoing technical support. "Tom Oakes’ joining our team is a direct response to the growing demand for these services. For example, as a long-established UK sales and installation partner for d&b audiotechnik, installations based around their product lines form an important part of our work. We apply our in-depth product knowledge to ensure a great-sounding installation that matches the design brief and budget. Our close working partnership with d&b also means that we have our fingers directly on the product pulse, and can provide excellent ongoing support and influence system evolution. The same applies to Clear-Com, putting our long-standing communications system skills into play to troubleshoot and solve complex problems for organisations such as the Royal Albert Hall and Welsh National Opera. We have worked with many of our installation clients for years, offering long-term advice and assistance to upgrade or extend the original specification - reinforcing the importance of getting the initial brief spot on and helping them to realise a tangible return on investment." Tom Oakes originally joined Orbital in 2008 to work in the company’s expert technical support department, and over the past five years he has been closely involved in many of Orbital’s high profile installation projects. While he will continue to fulfil a company-wide technical support role, Tom’s new focus will be principally on technical installations, with a specific emphasis on high-end communications and loudspeaker systems. 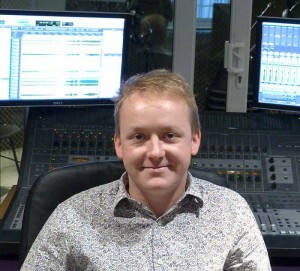 Tom will also be working alongside Orbital’s dedicated sales team to identify and develop new market opportunities.